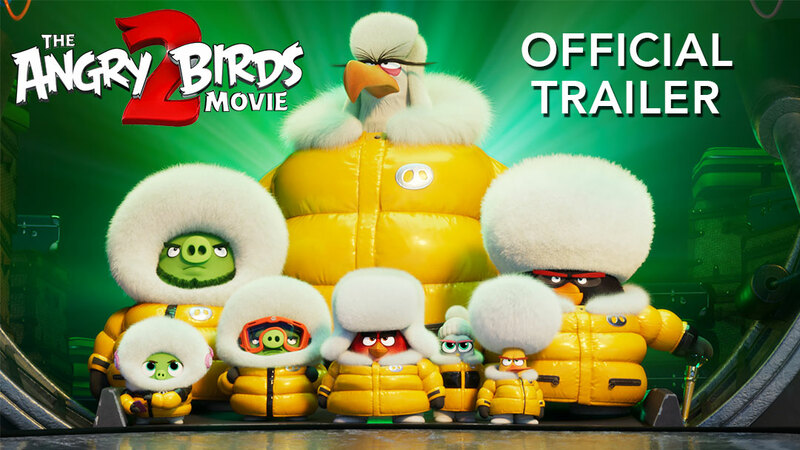 Angry Birds Holiday Updates, Events, and More! The end of year holidays are ring jing jingling their way in our direction, and in celebration, the birds have a whole sack of gifts wrapped up and placed neatly under the proverbial tree – and you don’t even have to wait until Christmas to open them! To unwrap, just visit the app store of your choosing and download/update. Done! Though if you’re not big on surprises, you can find more info on holiday happenings below. 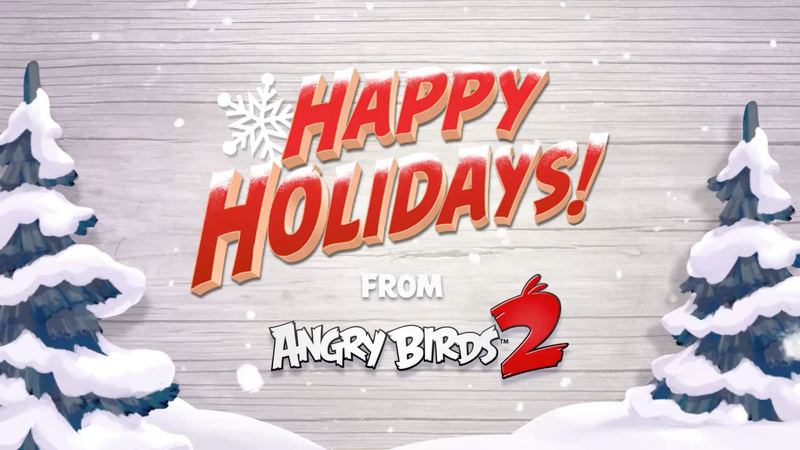 Angry Birds 2 – holiday hats, levels, and more! Angry Birds 2 is all about the headwear, and if you’ve visited the game recently, you may have noticed that there is a brand new Viking hat set available. Gear your birds up in those bad boys and show the pigs how things are done in the land of ice and snow in a new batch of levels in two new areas. As always, there are more levels on the way! Want to test your skills against the top players in the world? There’s a new way to do that! Play an infinite level in Mighty Eagle’s Bootcamp every day, and see how you fare against Angry Birds 2’s best players. You might just earn yourself some rewards in the process. With the holidays fast approaching, the pigs at Bacon Corp. are up business as usual, that is to say, they’re up to no good. Their latest energy drink, Cinnamon Chaoz, is ravaging the beaks and esophagi of Bird Island residents, in a bad way. Luckily, Kowalski the Elf is here to save the day. Take a peek below to see what Kowalski is all about. ‘Tis the season to get blasty! The last of three Winter Wonderland mini-map events in The Mighty League begins today, and it’s on until the 19th. After that, there’s an Xmas Big Dig event with 25 levels from December 19th until the 26th. After THAT, celebrate the New Year with another 15-level event in The Might League, December 29th – January 2nd. On TOP of all that, there’s a Treasure Hunt in Santa’s workshop from the 19th to the 22nd. Whew! Needless to say, if you find some downtime between holiday festivities, Angry Birds Blast has you covered with fresh levels to play, events to take part in, and rewards to earn! 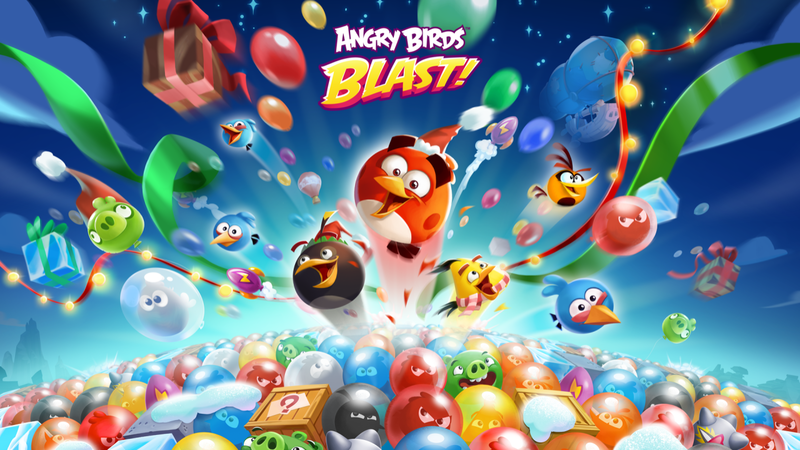 Download Angry Birds Blast here! Meet Rixi, Pine, and Rudolph. These three Christmas tricksters are full of holiday cheer and they’re hatching a plan to get a peek at their gifts. Meet these three naughty new Hatchlings, dress them in 9 new festive outfits, and just try not to get in the holiday spirit. It’s impossible! “How do you get these new outfits?” you might ask. There are 15 holiday challenges to take on from now until January 1st. Complete the challenges to unlock outfits and other rewards. Complete them all, and you can open the Grand Holiday Chest chock full of even more goodies! Download Angry Birds Match here! Santa needs your help! Those piggies have trapped poor St. Nick in a block of solid ice. Break him out of there to turn all coal in levels into candies and earn yourself a bunch of points in the process. Get in on three weeks of sweet holiday tournaments now! Download Angry Birds Friends here! Here’s wishing you all a merry and happy holiday, from our flock to yours!